Today I’m talking to Josh Piejko from the Mohawk Valley Community College in Utica, New York. Hi Josh! Can you introduce yourself? I’m Josh, a 3D artist and adjunct instructor at Mohawk Valley Community College. I teach everything from conceptual classes like Creativity in Art, to digital art classes like Introduction to Animation and Digital Apps (Photoshop and Illustrator). We have about 16-18 students per classroom. Students and faculty have been using Sketchfab to share models with our MVCC Animation group on Facebook. This is a group of people who are currently studying, or have studied 3D at Mohawk Valley Community College. Sketchfab allows for our group members to quickly receive a wide net of critiques from many eyes. This allows for an artist who is working on something over the weekend to get rapid feedback on their work instead of having to wait for feedback when they return to their brick and mortar classrooms on Monday. 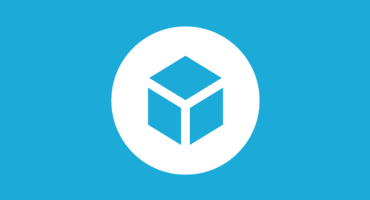 Sketchfab makes 3D a tangible thing for everyone. In the past, artists had to save out images of their 3D work, this takes the beauty out of 3D and confines the art to a 2D composition. Because of Sketchfab, artists can now upload their models and animations, allowing for the art to stay true to form and giving viewers the ability to really explore the work as it was meant to be. Our students really like Sketchfab because it allows for them to show their parents what they have been working on. Many of our students come from all over the state and live in our Dorms during the semester. Because of this, communication with their loved ones is often through email and phone calls. Because Sketchfab is so easy to use, parents (and even grandparents!) are able to easily see all of the hard work that their artist is doing in an easy to use interactive interface. This is so much better for viewers than showing a model in 3ds Max or Maya, where people new to the software get caught up in the intense user interface, detracting and distracting them from the art in the viewport. A “Sketchfab” classroom would be great. Being able to group projects by different artists under one location would allow for the instructor to easily pull up models during critiques. This also would be helpful for students so that they could go back and learn from the success and errors done by other classmates by viewing the annotations on the models. I think that giving the ability to group annotations, color code them, and allow for other class members to place them on models during a critique would be wonderful. I highly suggest having your students start experimenting with Sketchfab. Instead of having them submit images of their work, encourage them to publish to Sketchfab to maintain the works beauty of 3D. In a way, Sketchfab “lifts the veil” off of 3D art, and allows for students to learn exactly how other artists were able use their imaginations to turn the often perceived technical world of pixels and polygons into art. As a young artist, I remember dissecting 2D renders of 3D work, trying to figure out what the best way to create a quaded out head low poly would be, and if the render I was looking at was truly done in 3D, or the artist had spent days doctoring it up in Photoshop. Sketchfab strips this all away, letting artists see 3D as it was meant to be, giving those who are learning the medium an unlimited wealth of knowledge at their fingertips.